I'll never forget for my first high school dance how I wanted to look absolutely perfect. Intricately coiled updo, a dream dress, flawless makeup, and a brilliant, white smile for all the photos that were going to be taken. I had everything checked off the list but the white smile, so I thought I'd try out some Crest White strips from the grocery market. I remember so clearly, it's even kind of funny now to think back on, the absolute pain and sensitivity I felt when I left them on for even 5 minutes. It took days for me to not wince when I bit down on food, and since then I haven't tried any teeth whitening regiments. 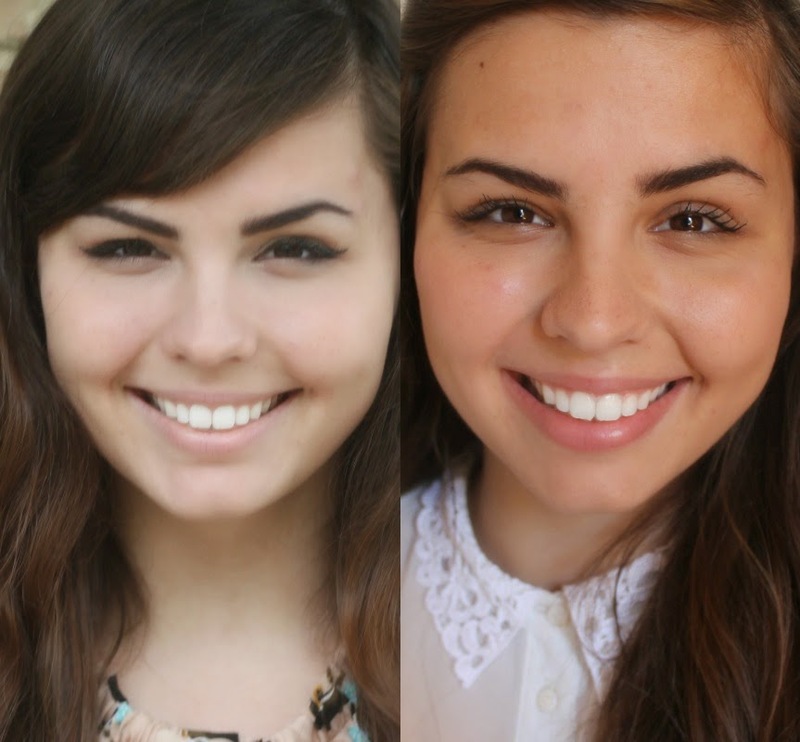 In the beginning of the summer though I was contacted by Smile Brilliant, which is a custom tray teeth whitening company, to try out the product. I was hesitant at first because of my previous experiences, but I truly wanted to see if these could give me the bright, white teeth I wanted without the pain. The process was incredibly easy and highly catered toward the customer. 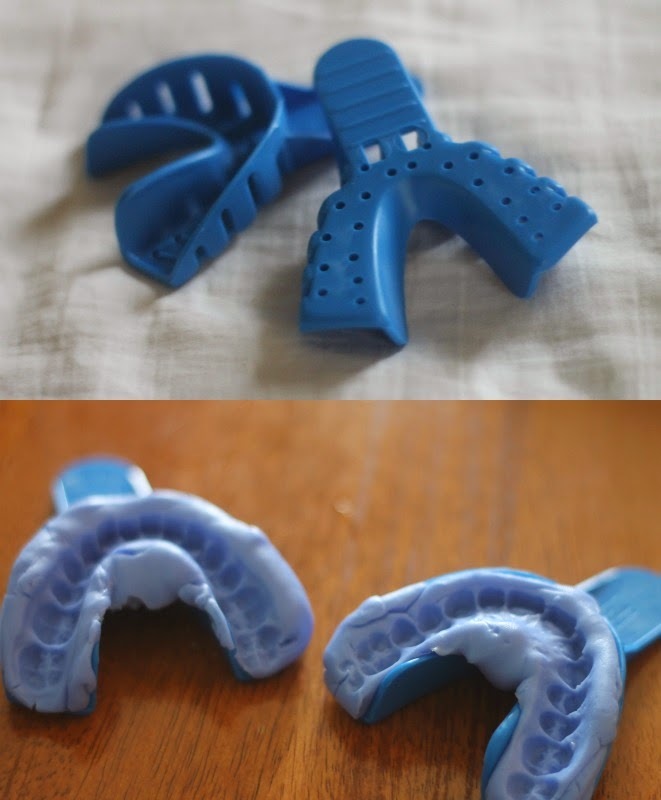 You receive the above blue mouth guards where you mix the catalyst paste + base base and put them in the mold. It took about 4 minutes each of just biting down to get perfect impressions of your teeth, rinsing them off, and then mailing them to get back the custom trays within a week! When you first purchase, you're given 6 tubes of whitening gel in syringes where actually one tube is for four uses. So that's quite a bit of whitening! You also get desensitizing gel that you put on 1 hour in advance to help if you have sensitive teeth. 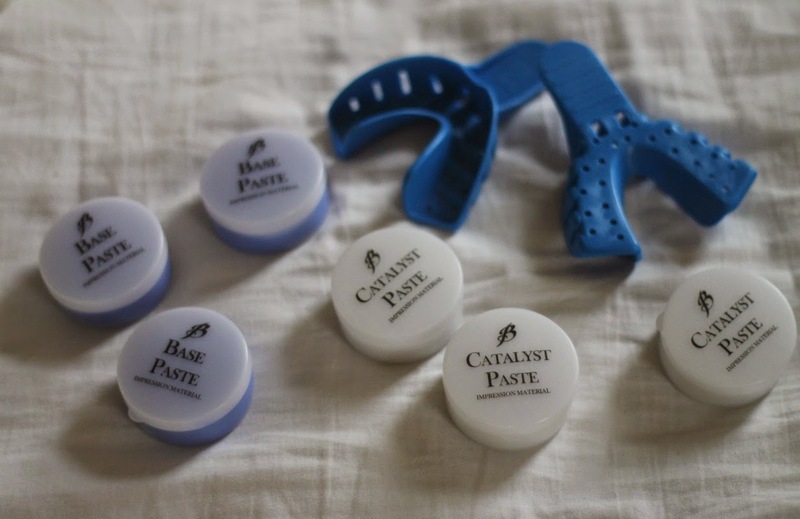 It's easy to just squeeze the whitening material into the trays and then place them onto your teeth where you can let them sit from 45 minutes to 3 hours depending on how great of a difference you want. I wanted to really see how this whitening method reacted with my sensitive teeth, so I tried doing it both with and without the desensitizing gel a few times. Either way, I had no issues with sensitivity AT ALL! Highly recommend this if you have sensitive teeth and want a whitening program. I was using this right before I went to Italy so I didn't have a chance to get through the whole set of my gel before I left. I did use it about 4-5 times though for an hour or hour and a half each and I notice that just this little bit certainly did make my teeth about a shade whiter. 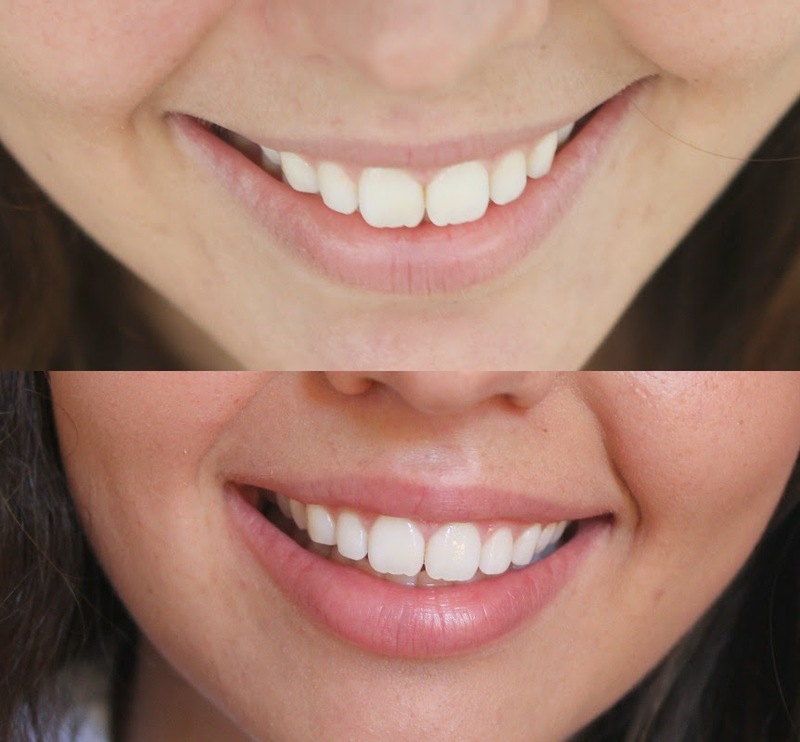 I asked my roommate Haley what difference she saw in my teeth, and the first thing she said was definitely brighter which I would have to agree with! They just look so much more vibrant and less dulled. A nice pick me up if you have a special event or something coming up. I keep my reviews on here honest and do the ones that I think will help you guys out the most or are worth the money. Thankfully, I can say I am incredibly satisfied with this product! I thought the customer service was especially phenomenal. They were very quick to answer any questions I had and the shipping was all paid for and fast. Hoping to finish up my set when I get home from Italy and buy some more gel in the future because I'll always have the teeth whitening trays! The starter set (what I got) is right here and you can watch/read testimonials if you're interested. Heard a lot about dental implants. Planning to take my mom to dentist Torrance for her dental implant. She asked me to recommend a dentist. This dentist is well-known for his great work. Mom will surely like his service. I’ve recently been wanting to get my teeth whitened because A. I’m an avid coffee drinker. its natural for our teeth to get a tint of yellow over time and its not the best when my job involves a ton of picture taking. I’ve been doing my research on where I could go and get this procedure done, and after all my research, reading a ton of Dentzz reviews I decided to drop by the Dentzz clinic in Mumbai. I went in for a consultation with Dr. Aastha at Dentzz and I was so amazed with all the information I got that I thought of sharing it all with you guys.